Jan Herman of the Cherry Valley Historic Society. 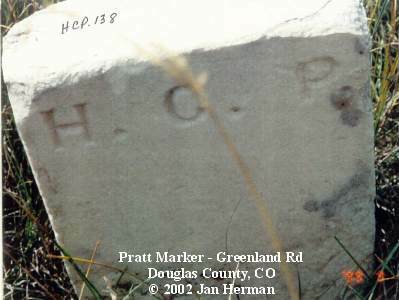 This is the single marker of Harry C. Pratt. He was born in Iowa in 1860, and traveled to Colorado with his parents Gideon C. Pratt, and Lydia Cass Pratt. He died March 19,1875, of unknown causes. 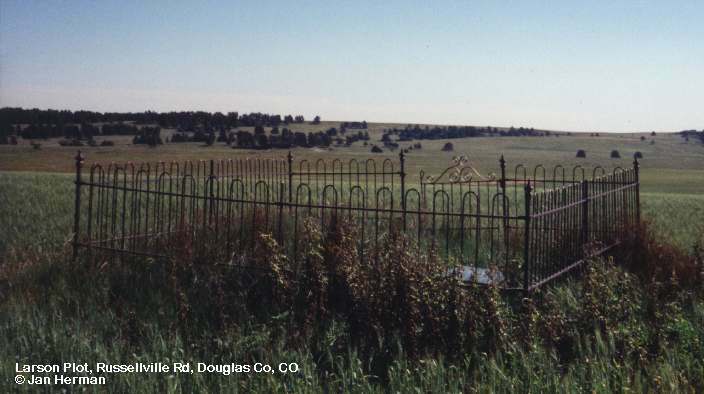 He is buried on private land which was homesteaded by the Pratt family. 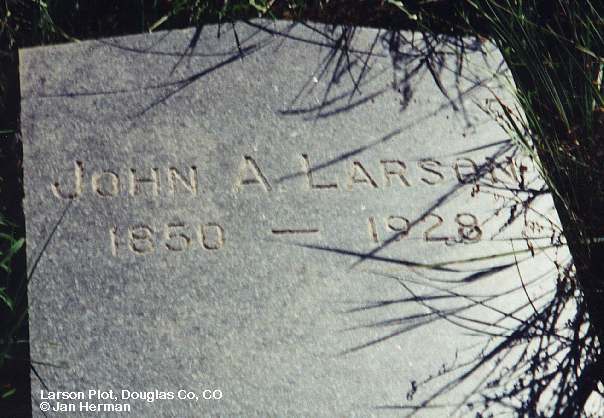 The rest of the family rests in Cedar Hill Cemetery in Castle Rock, Co.--Researched by Jan Herman, Cherry Valley-Spring Valley Hist. Soc., Douglas Coounty, C0.